St. Bonaventure University has a long standing history as a Franciscan institution. 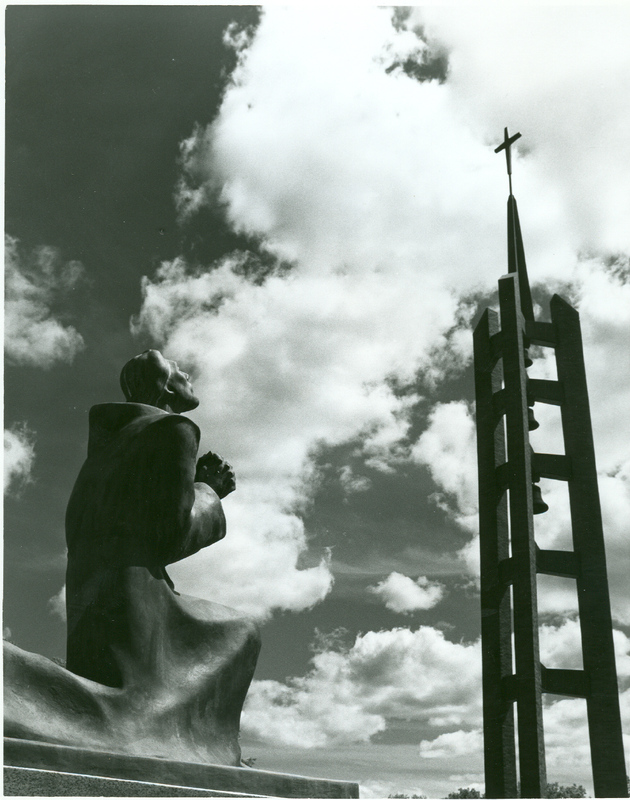 This campus is devoted to the Franciscan tradition, and in honor and recognition of this faith, religious shrines have been erected all over campus. Since the Seminary has left our campus, the devotion to these shrines has diminished and a few of them have not been given the proper care which they need, causing them to succumb to the steady decay of time. When people walk around campus, they often pass by these religious shrines without paying them much notice, and without giving them the appreciation which they deserve. There are also a few shrines that many people have never seen, hidden from the main part of campus and surely neglected. This site is devoted to these shrines and their history, because each one of them has its own significance. This site will teach people about part of the university's unique past which these shrines represent. Hopefully this will encourage people to stop, look at little closer, and appreciate these shrines for their religious significance and their place in St. Bonaventure history. St. Bonaventure University has a long standing history as a Franciscan institution. This campus is devoted to the Franciscan tradition, and in honor and recognition of this faith, religious shrines have been erected all over campus. Since the Seminary has left our campus, the devotion to these shrines has diminished and a few of them have not been given the proper care which they need, causing them to succumb to the steady decay of time. When people walk around campus, they often pass by these religious shrines without paying them much notice, and without giving them the appreciation which they deserve. There are also a few shrin es that many people have never seen, hidden from the main part of campus and surely neglected. This site is devoted to these shrines and their history, because each one of them has its own significance. This site will teach people about part of the university's unique past which these shrines represent. Hopefully this will encourage people to stop, look at little closer, and appreciate these shrines for their religious significance and their place in St. Bonaventure history. This site was created by Timothy Rothang, intern in the St. Bonaventure Archives located in Friedsam Memorial Library during the fall semester 2005. Memorial plantings and responsive web design were added by Rene Sandroni in 2015. Any opinions expressed in these pages are those of the author. Veterans Memorial page added 12/12/2005 by D. Frank.